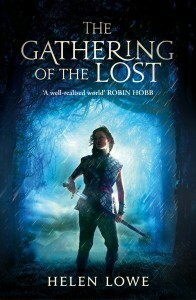 The mass market edition of The Gathering Of The Lost will be released in the UK tomorrow, Thursday 21 February (UK time.) To celebrate, I will be doing a couple of guest posts on the Orbit blog (the site of my UK publisher), and I shall be cross posting to those as they appear. Today’s re-post is on the importance of friendship in The Gathering of the Lost, taken from a “Big Idea” post that first appeared on John Scalzi’s Whatever blog. Usually when I begin to write, I do so with a very clear notion of the “big idea”—what a story’s really all about. At other times it is only when I read through the finished manuscript that I realize there is an idea present that’s been percolating in the story all along, even if I didn’t set out to consciously write about it. This latter situation is what happened for me with The Gathering of the Lost, Book Two of The Wall of Night series. 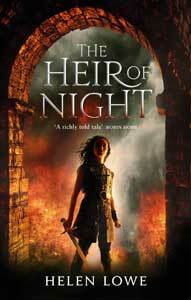 When I wrote my Big Idea post for the initial book in the series, The Heir of Night, I discussed my love for classic epic fantasy, but also my desire to explore how conflicts between good and evil really play out, both within individuals and at a wider societal level—especially when one of those societies perceives itself as defending good and yet has a darkly chequered history. The Gathering of the Lost is a book about friendship. The Heir of Night raised questions about ties of honor and loyalty within a rigidly monocultural society. The Gathering of the Lost forces the central protagonists, in particular Malian and Kalan, to ask and answer questions of loyalty and responsibility to each other, but also to examine their obligations to those who stand outside their own culture’s narrow bounds. Other central characters, such as the heralds, Tarathan and Jehane Mor, and the minstrel, Haimyr, who have been brought together by events, also find old ties tested by changing circumstances and the reassertion of prior allegiances and duties. What fascinates me in all this is how a big idea can work itself into a story so invisibly—but then, no matter how fantastic the world, I always strive to keep the characters emotionally real. And this is big epic as well, a story dealing with the sweep of large events—and there is nowhere, history would suggest, that such events bite more keenly than on the personal relationships between people, especially when those relationships are tested by religious, cultural and political difference. So perhaps it is not so surprising that The Gathering of the Lost should have become a story where the big idea is all about friendship, most particularly what happens when it comes under pressure.